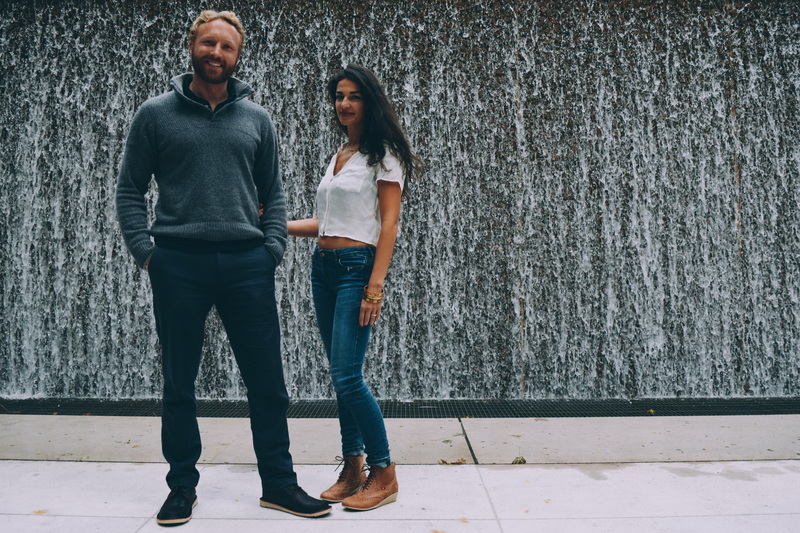 We’re excited to introduce to you Nisha and Baranabe, creators of UPLIFT: a documentary series in which they travel to the front lines of social and environmental challenges to meet the entrepreneurs and innovators working on solutions. 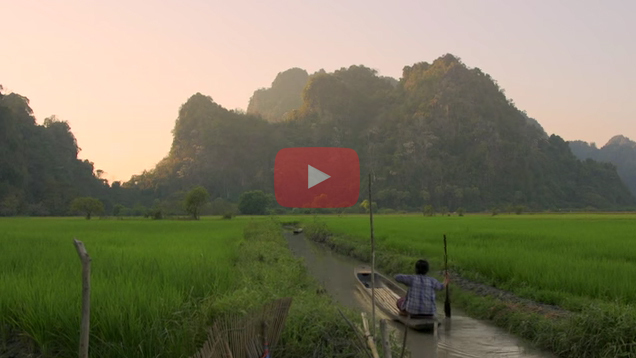 They turned to Kickstarter to fund the pilot episode shot in Myanmar and produced by themselves and their filmmaker friend, Greg Francis. They have recently signed with a major production company to take the show to a whole new level and pitch it to broadcasters to turn it into a groundbreaking TV series! 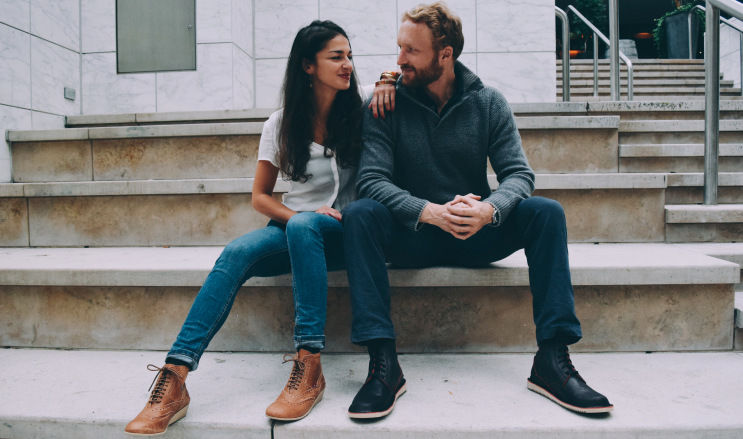 Nisha is also pursuing a PhD in Social Justice Education and Barnabe works at the Centre for Social Innovation supporting social entrepreneurs and innovators. What inspired you to create this documentary series? Coming from the fields of development, activism and social innovation, and having lived abroad and worked closely with people on the ground, we both felt seriously frustrated with the way the media focuses almost entirely on the problems we face and rarely on the solutions. We want to share a fresh perspective: Yes, the world is messed up, so what are people doing about it? There are community builders, artists, activists, social entrepreneurs and innovators around the world tackling issues head-on and with amazing stories to share. Our job is to make it as entertaining as possible by captivating viewers with moving stories and mind-blowing adventures. Your Kickstarter campaign was a huge success, what do you attribute that to? One of the reasons for doing a Kickstarter was to test the concept itself: is there an audience for a show like this? Our campaign went really well and we’d already reached our fundraising goal when, two days to the end, Upworthy shared our story. The answer we got back was a resounding “yes!” We tripled our backers in 48 hours… Thanks so much to everyone! If you had to choose, what contemporary issue do you think needs the most urgent attention worldwide? There are so many to choose from. We hope to look at a different social or environmental challenges in each episode, always through the lens of how are people affected and how are people responding to solve the issue? Some examples of episodes we have planned look at the refugee crisis, the war on drugs, the prison system, human trafficking, inequality, women’s rights, labour and other major challenges of our times. Where have you seen the greatest progress towards positive change? Change is happening largely in people’s attitudes toward each other and the planet. 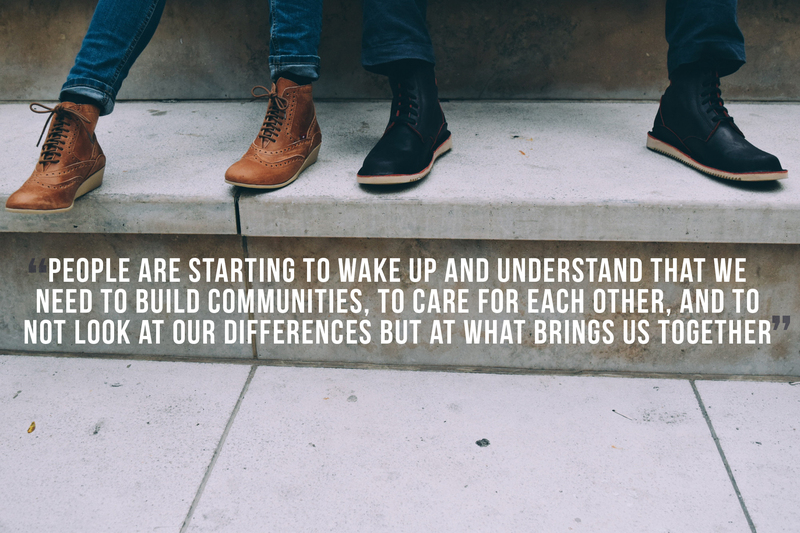 People are starting to wake up and understand that we need to build communities, to care for each other, and to not look at our differences but at what brings us together. Despite what you see on the news, the world is actually becoming more tolerant and less violent. People are going to start being gentler on the planet too, as the climate crisis and the cause and effect relationship that we have with the planet come into full view. Exponential technologies, open source, sharing, the makers movement, crowdsourcing, full cost accounting, B Corps, universal income, fair trade and other trends and ideas can all play a huge role in building a new, fairer, greener economy. But it always starts with us, with individuals, and evolving our ways of behaving and thinking. There’s a growing movement for people and the planet, and more and more we all have the opportunity to participate in it. What’s your next planned destination for filming? Right now we’re pitching to networks through our production company partner, The ShootingStar Film Co., to turn UPLIFT into a TV series… If we get a network, it will play a major role in shaping the series, but for one of the first episodes we would love to look at the experiences of and responses to the migrant crisis. In Turkey, we would see different approaches to designing refugee camps. In the Mediterranean, we would spend time on boats rescuing migrants. In Eastern Europe, we would travel with a family heading to Germany, and in Germany we would see how some locals have mobilized to welcome refugees… These stories are important as the lens through which we view this crisis or any other can really shape the conversation and outcomes. What can the average viewer do to get involved with these initiatives worldwide? Figure out what you care about by asking yourself what issue scares you, moves you or really enrages you. Inform yourself, try and understand it from different perspectives, and find others to support or collaborate with – your very own neighbourhood or city is a great place to start! Once UPLIFT is up and running, we’ll be posting info on changemakers on our website so that people can connect with organizations they see on the show and potentially contribute their their time or expertise. What will 2016 be the year of? Hopefully securing a broadcaster for the show! Also: love, family and friends, new babies (from our loved ones, not us! ), hiking, parties in the backyard and a lot of really hard but really rewarding work.